We are an independent group of enthusiasts, linked by a shared love of Italian two- and four-wheeled vehicles. Many Italian car and bike clubs do not have enough members in particular areas to make local meetings and social activities viable, but by getting together such events become possible - and even more interesting! The dates for our regional meetings are shown on our calendar page. Details of all locations can be found on our Regions page.
. We are suspending Hampshire meetings for a while whilst we review demand and look at potential locations. Our friends at the LMC have invited us to join them for the LMC trackday at Goodwood on Saturday 30th March. Aside for the motoring attractions at Goodwood, the nearby Tangmere Military Aviation Museum and Weald and Downland Living Museum are also well worth a visit. Last years event at the SS Great Britain was greatly enjoyed by those who attended and we return once again this year. We will occupy and area in front of the SSGB reception, there is a cafe on site and the ferry dock for boatrides and access up and down the river. Its also a great Fathers Day treat! It has been some years since we staged an event at Gloucester docks, so it is exciting to return for a new event on Saturday 24th August. 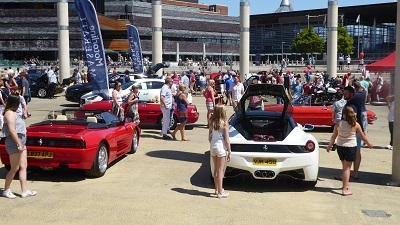 As part of the Gloucester Goes Retro Festival, the entire docks area will be transformed into the Italian Quarter. 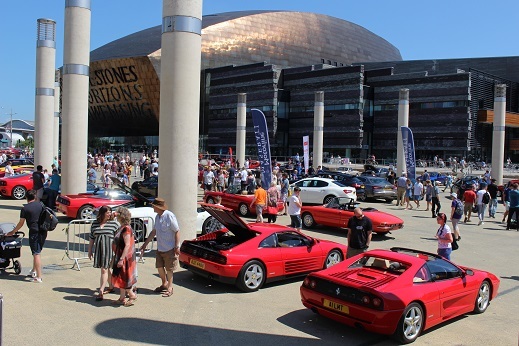 We have space for more than 200 cars (and bikes) alongside the docks, the setting and space is stunning, and this has all the prospects of a superb event. 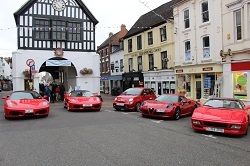 We return to Bridgnorth on Sunday 1st Sept for the fourth staging of the Italian Auto Moto Festival. 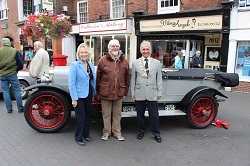 Last years event attracted a record turnout as this event grows in popularity, and we look forward to returning to the town this year. We regret to confirm that there will be no BIAMF in 2019. Organisational and commercial challenges have made this a harder and harder event to organise, and we are therefore continuing to review the situation and considering options for the future. Want to renew your membership or join? Please vist the Join page for more details. Items can be found on our Merchandise page and are available by mail order or can be collected at meetings and events. Please check stock availability by contacting paul@italianautomotoclub.co.uk BEFORE you order. 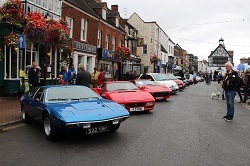 The Club organises various events during the year, from the major Bristol Italian AutoMoto Festival to smaller local gatherings which sometimes run to more than one day. Club members can participate in planning, organising, staging and marshalling on these occasions and any assistance towards helping with these events is always gratefully received. Those who help out inevitably enjoy a rewarding experience! For details of what we have done and have planned please see our Archive and Calendar pages. We have an interesting past and a busy future, so why not join us? Riders For all your Ducati, BMW, Buell, Harley-Davidson and motorcycling clothing requirements. Celtic Tuning Celtic Tuning is a nationwide company with dealers and mobile technicians spanning the entire UK offering a full range of tuning services. Classic Motor Hub The Classic Motor Hub is a motor enthusiasts' dream destination in the heart of the Cotswolds. Based in the hangars of the historic RAF Bibury, The Hub has something for everyone on our five-acre site dedicated to classic motoring: classic cars & bikes, modern high-performance machines and all sorts of other automotive ephemera. 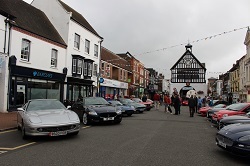 For more information follow us on Facebook- search for ‘The Classic Motor Hub’. Italian Miniatures All sorts of products related to Italian cars including clothing, stickers, books, posters and a wide range of models. Alfanet Services For Italian car servicing in Bristol call Duncan Slade on 07968 488942. Giuseppe's "... the essence of a traditional Italian restaurant. The extensive menu provides something special for everyone." 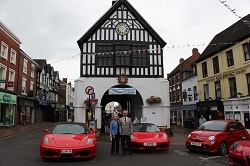 Providing Motor Sport all over the UK – and further afield! Discounts are available from the following outlets by using the discount codes provided to members, or you can contact paul@italianautomotoclub.co.uk for more information. F1 Driving Experience / Racing Car Experiences / Super Car Experiences / Junior Driving Experiences / Intensive Race Training / Etc. Contact paul@italianautomotoclub.co.uk for the discount code. SHOP4PARTS The UK's largest online superstore for Fiat and Alfa Parts. Airport Parking Parking at many UK airports. David Thomas Motor Books For the widest range of new and used motoring literature. Opie Oils A very wide range of lubricants plus other components. Longlife Exhausts, Thornbury Custom-made stainless steel exhausts for any car. Protyre, Bristol Tyres, exhausts, batteries, brakes, wheel alignment, MOT. TrackDays Track days, driving experiences and much more. APH Airport parking and hotels. Revolution Detailing Professional detailing and valeting, based in Bristol. Westbury Inks For all your stationery needs in the Bristol area plus desk-top printers, printing, ink cartridges and refills. Bespoke printing to your requirements. The Monte Hospital The Lancia Montecarlo specialists - everything you'll ever need for your Lancia Montecarlo or Scorpion. T-Shirt Printing and More The one-stop shop for all your personalised and corporate garments, sportswear, workwear, school uniforms, vehicle signage, badges, stickers, prints, promotional goods, etc. Minimum Order is ONE! Yum Yum Thai Serving wonderful Thai food in light and relaxed surroundings in Bath. Alfa Owner Are you addicted yet? The site for Alfa Romeo owners. Bloodhound SSC A Bristol-based project which aims to exceed 1000mph on land - join now and be part of this fantastic adventure. Association of British Drivers The voice of the driver. DEP-O The quality online retro-motoring magazine. 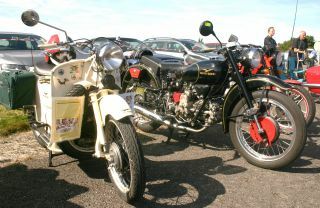 Ducati Owners Club GB Motorcycle organisers of BIAMF. VeloceToday.com For online Italian car news. Abarthisti The fastest-growing Abarth site. RealClassic All about buying, selling and enjoying real classic motorcycles. Mold and District Alfa Romeo O.C. For all Alfa Romeo owners in North Wales. Auto Italia The magazine for Italian car news and features. 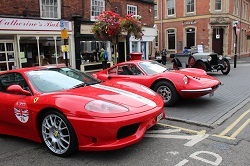 Merlin Events Quality Classic and Sports Car Tours. Site Created and Maintained by IAMC. Photographs by Martin Broadribb.